Argyll and Bute Council has apologised after a technical glitch led to the email addresses of hundreds of residents being leaked during a competition process. Entrants to the authority’s contest to win a year’s free council tax were left staggered when they were able to view the details when a reminder dropped into their inbox. Numerous email addresses belonging to council taxpayers across the area were made visible when the communication went out late last week. One resident contacted the council to register her concerns – and was told that she wasn’t the first to flag up the issue. The resident said: “I received the email about the competition to win a year’s free council tax and was invited to click a link. “When I did so, there was no message, but I could see all these email addresses which had been made visible. “I have literally every single email address up on my screen. This is a complete breach of confidentiality. 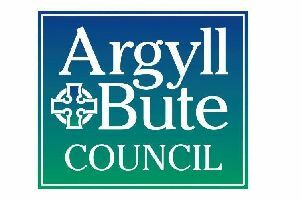 A spokesperson for Argyll and Bute Council said: “We emailed people to remind them that there is still time to enter a prize draw to win a year’s free council tax, by signing up for council tax e-billing. “Unfortunately an error resulted in email addresses being visible. “We have followed relevant guidance in investigating the matter. The competition – which has now closed – was launched by the council at the start of this year to encourage residents to sign up to its new e-billing service. The online facility enables taxpayers to log in any time to see their bills, access copies of letters and view their current instalment plan. A winner is due to be drawn today (March 26). In launching the competition Councillor Rory Colville, policy lead for customer services, said: “It’s also a great opportunity to help us cut down on the amount of paper we all use.